DESGAGNES, Marcel Jacques - Peacefully on Friday, October 12, 2018 at Peterborough Regional Health Centre, in his 68th year. 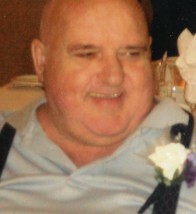 Beloved husband and best friend of Carolyn (nee McEntee). Devoted stepfather of Sandra (Jerrold), David (Brandee) and Robin (David). Loving grandfather/granddad to 10 grandchildren 10 great grandchildren. Brother of Rose (Ray), Rollie (the late Paulo), Rejeanne (the late John), Carmen (John) and Donnie (Debbie). Predeceased by sister Jeannie and brothers Titi, Peter and Paul. Fondly remembered by his in-laws on both sides of the family. At Marcel's request, there will be no service. Cremation. Donations to the charity of your choice would be appreciated. Condolences received at www.MacCoubrey.com.